Flowers reminiscent of Candyfloss make this compact clematis a must for a shady terrace or patio. 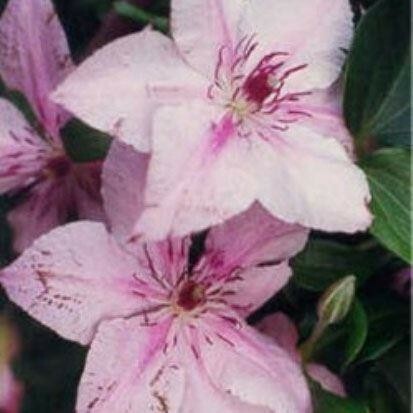 The pink summer flowers with deeper pink stripes gradually fade to whitish-pink, and have reddish-brown centres. For best results grow in partial or dappled shade to prevent the delicate petals fading in intense sunlight. Supplied in approx 2-3litre containers.